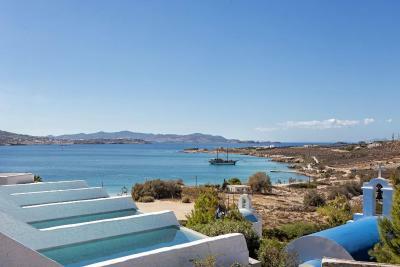 Lock in a great price for Paros Agnanti Hotel – rated 8.8 by recent guests! We got a free upgrade to the most beautiful hotel room I’ve ever seen. We didn’t ask, there wasn’t a reason, they just had it available and gave it to us. It was amazing!! 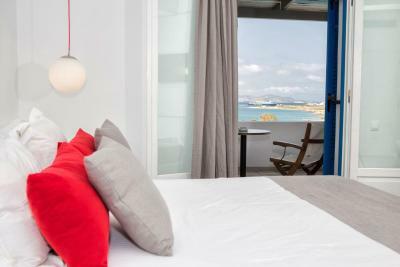 The room was refurbished and very comfortable with a large balcony looking over the bay. 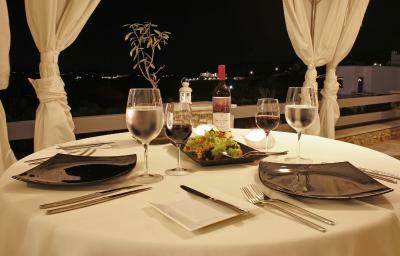 The restaurant was great with a surprising cuisine and menu. The staff was very helpful and nice. 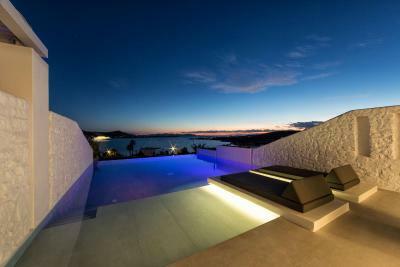 There was a large pool with a bar with very nice taste and view. Wi Fi was enough to work and see my emails but also use skype as well. By FAR AND AWAY the nicest HUMANS work here. I will get the spelling wrong. Front desk: Taso, Vicky, Stamidis, Vagelis. Pool bar : Maria and Vaso. Breakfast : Kostas, Ioulia, Dionysia, Georgi, Stella, The women who cleaned the rooms : Mary and her partner who’s name I didn’t get. Truly beautiful , friendly and amazing people. 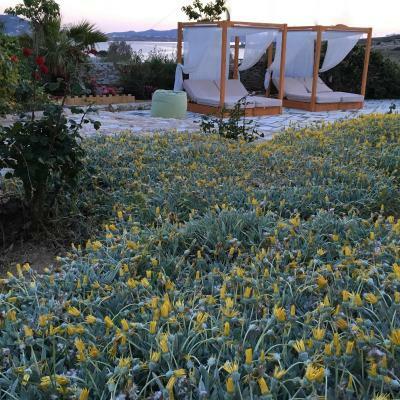 The magnificent sea view and the flowers all around the hotel. The beach at walking distance. 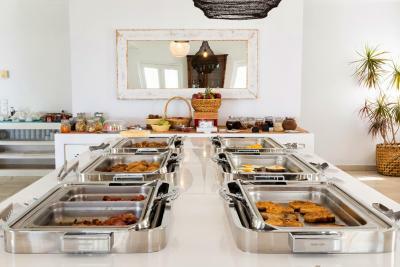 Amazing hotel, very nice rooms with private swimming pool, beautiful beach within walking distance, and very good breakfast. Service is very good as well and staff is very helpful . Very peaceful and great holidays in this hotel. Totally recommend! 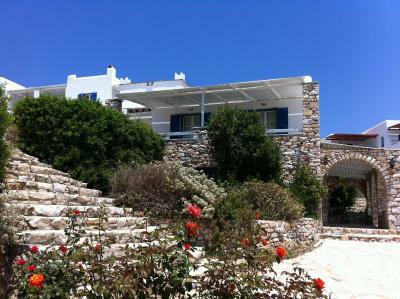 We stayed at Paros Agnanti for 8 days and we had a wonderful time!! The venue was perfect, the staff very kind and available to provide any information and service when needed. 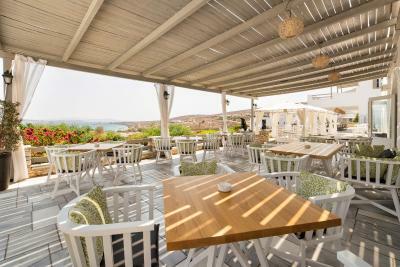 Our room had a big terrace with a breathless sea view, the breakfast was delicious and the restaurant also of high level. We couldn't ask for more! They made our holidays in the island like a dream. We definitely suggest this hotel and we hope to get back soon!! Thank you very much to all the staff people. Facilities and staff were excellent. Breakfast included was very good. Very nice garden and a big room with a spacious balcony in the shade. A wonderfull swimming pool with excellent cocktails in the pool bar. Good restaurant with a nice view. Amazing room with private pool, staff was super kind! Everything was perfect! 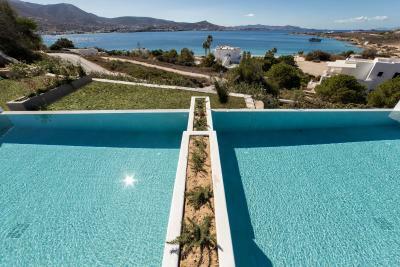 Stanza con piscina magica! Proprio fantastico!! 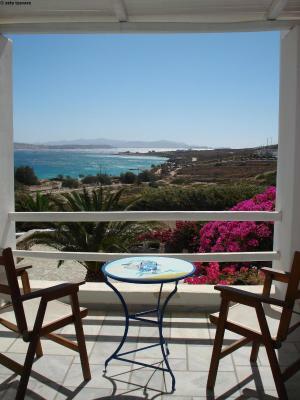 Paros Agnanti Hotel This rating is a reflection of how the property compares to the industry standard when it comes to price, facilities and services available. It's based on a self-evaluation by the property. Use this rating to help choose your stay! 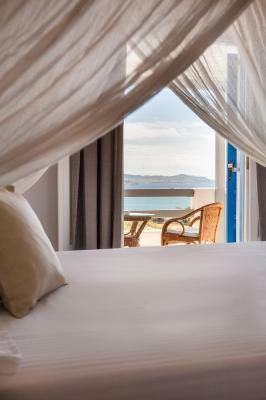 Located just 250 feet from the beach, with beautiful views of the sea and Parikia, this Paros Agnanti Hotel offers a peaceful sanctuary, with excellent leisure facilities and free internet access. Free WiFi is available. 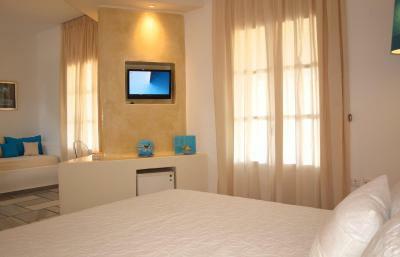 Each room at the Paros Agnanti Hotel is decorated in a traditional and elegant style. 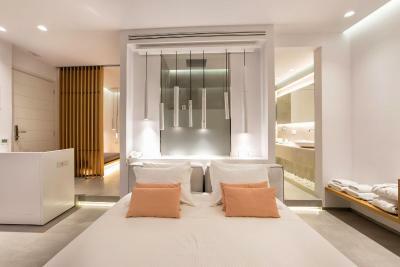 Guests can enjoy a comfortable sleep on beds fitted with orthopedic mattresses. 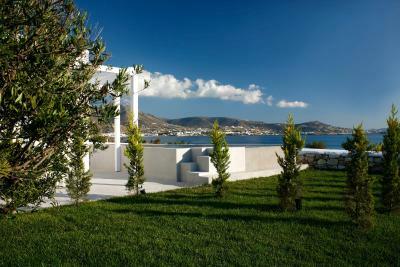 Stunning views of the sea and surrounding area can be enjoyed from the private balcony. 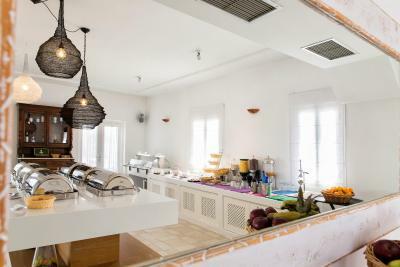 After a delicious breakfast, serving treats such as cheese, yogurt, fruit and eggs, guests can swim in one of the outdoor pools and enjoy the relaxing sight of the waterfall feature. The tennis and basketball courts are a great place to burn some extra energy. Guests wishing to explore the town can make full use of the hotel’s complimentary shuttle service. 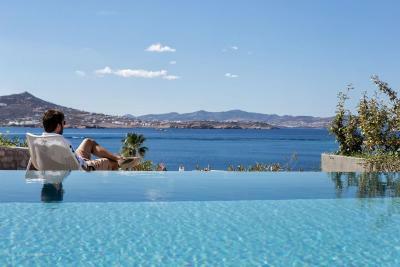 When would you like to stay at Paros Agnanti Hotel? 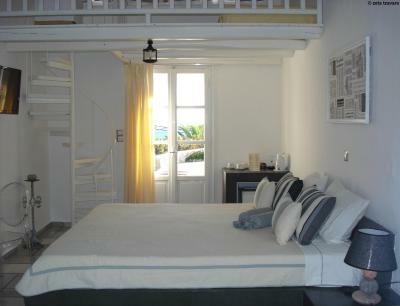 This tastefully decorated room offers a balcony with Aegean Sea views. Free Wi-Fi is provided. 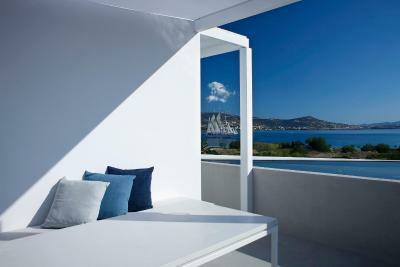 This spacious and modern room offers an unlimited view of the Aegean Sea. Free Wi-Fi is provided. Featuring 2 separate bedrooms and a balcony, this room offers air conditioning, satellite TV, tea/coffee facilities and mini-bar. It is located on the 1st floor. Free Wi-Fi is provided. 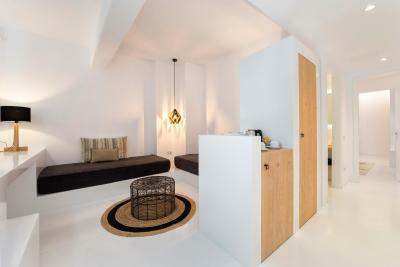 A luxurious suite of a total surface of 45 sq.m., with 125 sq.m. 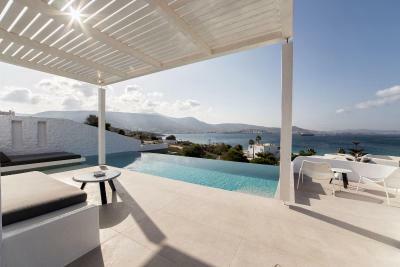 private veranda and garden surrounding it, as well as a private pool. The view to the gulf of Parikia is uninterrupted and unique. Free Wi-Fi is provided. 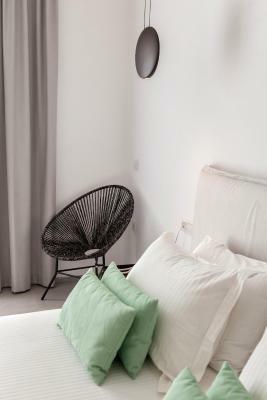 Spacious rooms which perfectly combine the Cycladic and modern design, offering also excellent sea view from the private, 15-m2 terrace. 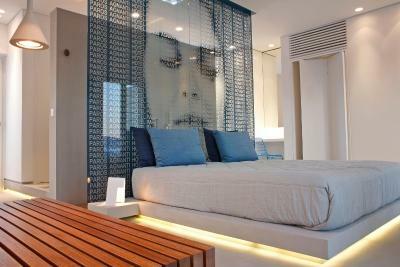 This suite features a balcony, private pool and air conditioning. 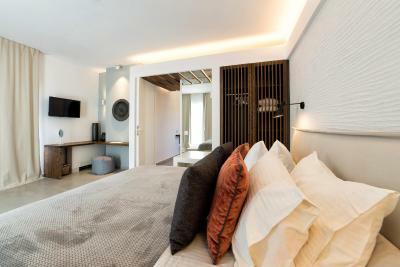 This suite has a mini-bar, tumble dryer and air conditioning. 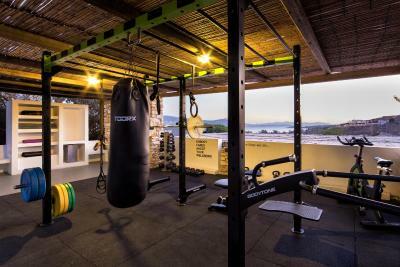 Offering a private pool, hammam and gym, this suite features sea views. 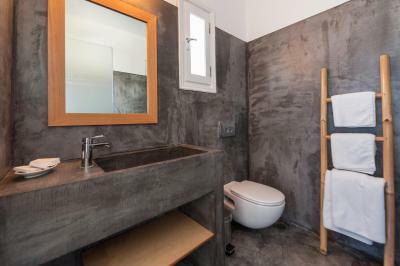 It has a tumble dryer, mini-bar and electric kettle. 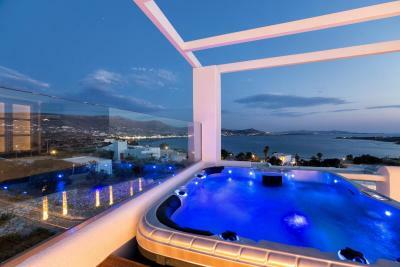 This suite has a sea view, tile/marble floor and private pool. 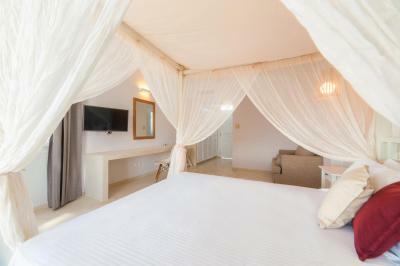 Paros Agnanti Hotel... 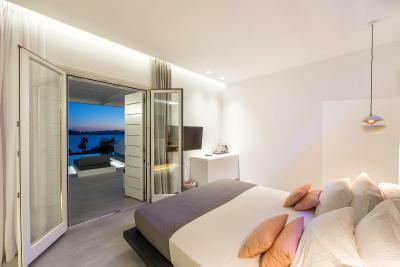 The hotel where the word "Agnanti" takes its visual performance as Paros Agnanti Hotel is located at the entrance of the gulf of Parikia, offering to its guests panoramic view of the sea and of the picturesque homonymous town within the island. 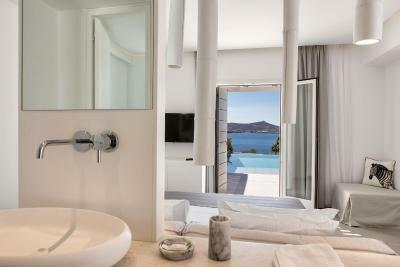 Nestled between the famous beach of Marcello at the south and surrounded by the well known Cycladic landscape at the north, the brand new Suites of Paros Agnanti Resort, have opened in August 2016, welcoming guests who look for ultimate luxury, privacy and relaxation. 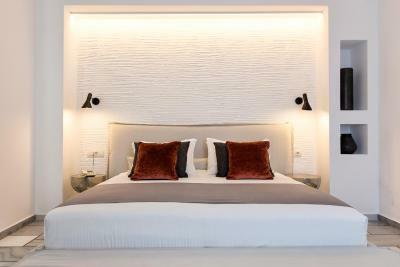 Whether you have visited Paros Agnanti before, or it is your first time on the Island, the new complex of the hotel’s eleven superior suites will certainly be the landmark of Paros for the coming summer seasons.. Blending all local materials, from wood to stone, and the world famous Parian marbles, the entire room blends the traditional aesthetic, with the modern touch of the architect’s unpretentious option, in a harmonious coexistence of nature and pure luxury. 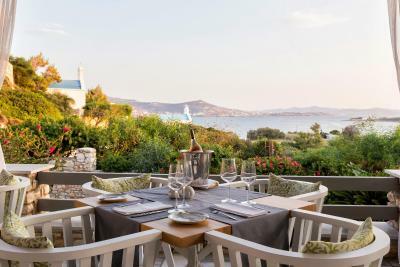 The uninhibited view to the sea, or the surrounding Cycladic hills, balances with the sunlight and the shades of the sunset. 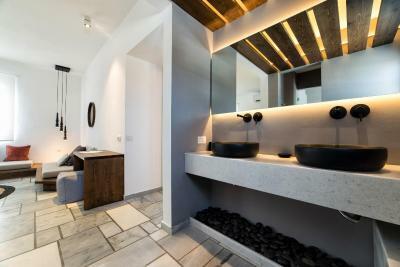 House Rules Paros Agnanti Hotel takes special requests – add in the next step! One child under 6 years is charged EUR 21 per night when using existing beds. All children under 6 years are charged EUR 21 per night for extra beds. 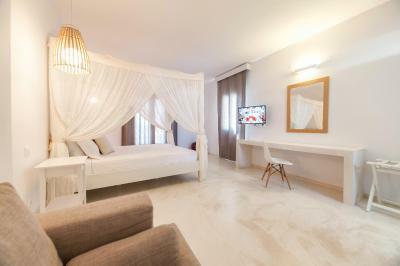 Any additional older children or adults are charged EUR 42 per night for extra beds. Paros Agnanti Hotel accepts these cards and reserves the right to temporarily hold an amount prior to arrival. Faucets in the bathroom were too old and used. Rooms did not look as good as on website. The pool area and gym behind it. We only had one night! Beautiful hotel. 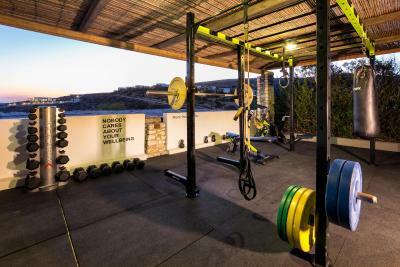 Excellent facilities. Loved the view and the pool. We ordered room service many times and found the portions pretty small and a bit pricey, however it was extremely tasty! It would also be great to make tennis available for guests in the morning, which is the best time to play, seemed it was booked the whole week by some external players, which was unfortunate as it’s offered as part of hotels activities. Book room number 35! amazing shower room with beach view and nice balcony without neighbours. Furniture a bit outdated in standard rooms but other than that we had a perfect stay. Lovely staff and lovely hotel.Very relaxing.